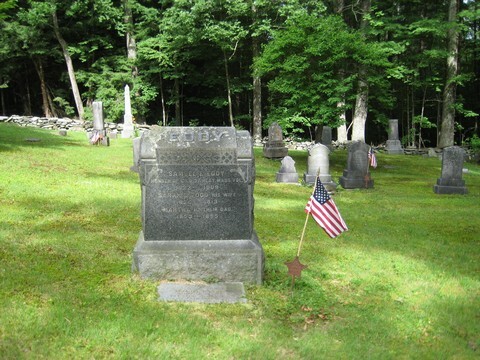 Rank and Organization: Private, Co. D, 37th Massachusetts Infantry. Born: 2 Jun 1822, Whitingham, Vt. Date of Issue: 10 Sep 1897. Citation: Saved the life of the adjutant of his regiment by voluntarily going beyond the line and there killing one of the enemy then in the act of firing upon the wounded officer. Was assailed by several of the enemy, run through the body with a bayonet, and pinned to the ground, but while so situated he shot and killed his assailant. Photographs courtesy of Heidi McColgan. 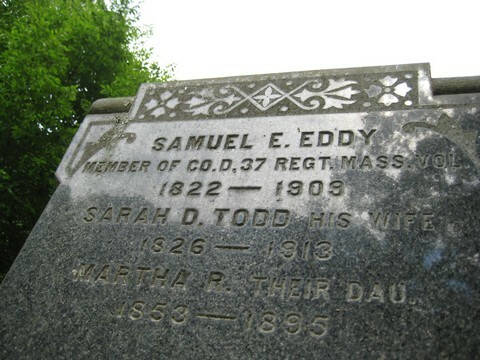 Samuel E. Eddy, 86, a veteran of the Civil war, died yesterday at his home in Chesterfield. 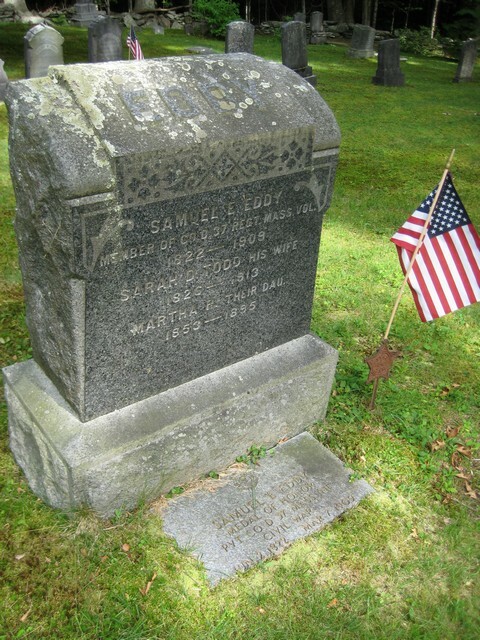 He was a native of Whitingham, Vt., and had lived 60 years in Chesterfield. He was married July 3, 1849, to Sarah Todd of Chesterfield, and three children were born to them, who are Mrs. Alice Bliss of Florence, Henry of Chesterfield, and Harry of Florence. 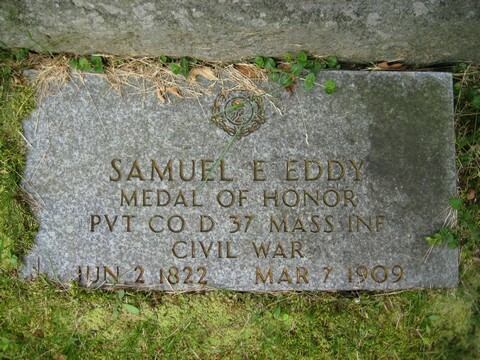 Mr. Eddy served three years in the Civil war in Company D, 37th Massachusetts regiment. 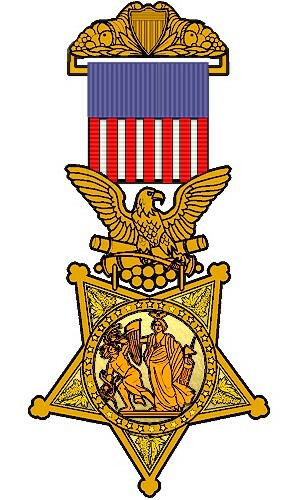 He was presented a medal of honor by the secretary of war for gallant services in the Battle of Sailor's Creek. Mr. Eddy was a member of W.L. Baker Grand Army post, and the funeral, which will be held in Stanton hall in West Chesterfield tomorrow afternoon at 1 o'clock will be in charge of the post. Rev, M. T. Anderson will officiate and burial will be at West Chesterfield.